The pink tinge of the beautiful Rosé is enough to convert even the most stoic of non-drinkers. 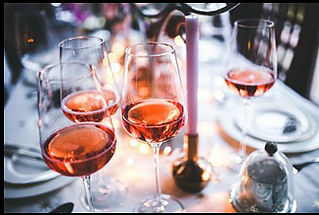 Rosé wine has always been a favorite for those who wanted to taste something that fell between the fruitiness of red wine and the acidity of white wine. Less intense than the red tannic and more sharp than a super-light white, the Rosé wine has taken over the world of wine connoisseurs and is now regarded as a status symbol by all who want an incredibly desirable drink which is just beautiful enough to look murderously expensive. Best obtained from the fields of France from wherein it got its name, the traditional, dry very pale pink Rosé brought fruitier tasting notes which brought a fresh flavor to wine. There are many methods that are used to make red wine such as the maceration method, blending method and the bled method among others. Here at Montemaggio, home of the Chianti Classic, the method that we use for our Rosé wines is that of taking the juice into steel vessels, then allowing the juice and the skin and seeds stay in contact for up to 12 hours. After this, the skins and seeds are removed from the juice and then fermented at 18 degrees to make sure that the Rosé provides a full taste with a refreshing rose color and high acidity. 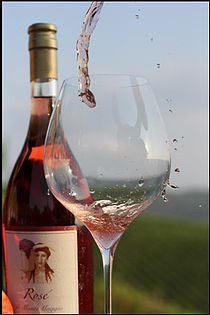 The Rosé here at Montemaggio is created in the Sangiovese style which is the most popular among them all. The tasting notes of the Sangiovese are fruity and come with a bright copper red color that sparkles under the light. As the perfect embodiment of Rosé wine, the accompanying notes can be from fresh strawberries and green melon to Roses and yellow peach. With a gentle bitter note on the finish, the mouth quenching acidity of this fruity wine makes it pleasantly dry, just enough to complement any other flavors that are being taken with it. Other styles of Rosé are the Grenache, Tempranillo, Syrah, the Cabernet Sauvignon and the White Zinfandel. Rosé is one of the easiest wines to pair with food. As a versatile taste, this wine can be paired with all types of food such as fish, veggies, chicken, potato chips, grilled steak, barbeque and even chocolate chip cookies. The most important thing you have to do is make sure that it is chilled to get the most optimal flavor from your wine. As well, this wine can also be used for mixing cocktails. Rosé is one of the most beautiful wines. If you want to try the wonders of Rosé, go ahead and visit Montemaggio and have a taste of some of the best Tuscan wines in the country.